At the Orthotic & Prosthetic Centers, we are passionate about meeting the unique needs of children. We design and fabricate all our pediatric orthoses to be as easy to use and comfortable as possible. Our clinicians strive to make your child’s life as easy and enjoyable as possible, so every kid can just be a kid! These specialized orthoses are created for children with deformities, congenital defects and other injuries. We’re dedicated to putting state of art technology to work by designing and fitting orthoses that that support, relieve pain and sometimes restricts motion of parts of the body. All to bring about the best clinical outcome. It’s important to remember that based on your child’s growth pattern and activities, pediatric orthoses can last anywhere from one to three years. We suggest follow ups every six months to make sure that your child is getting the most from his or her orthosis. 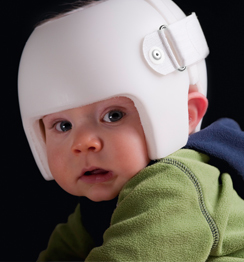 A cranial re-molding orthosis, or helmet, is a plastic protective head covering or band used in the treatment of plagiocephaly and brachiocephaly. Both of these conditions involve the flattening of the head. 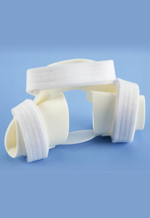 This type of orthosis helps remold the head into a symmetrical shape as the baby grows. 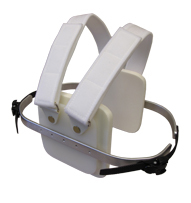 The helmet or band guides the growth of the head to specific areas to improve shape. Since the growth of the head slows after the age of one, it is critical to start treatment for these conditions early. Also, it is important for the baby to be screened for other conditions that may have caused uneven head growth. 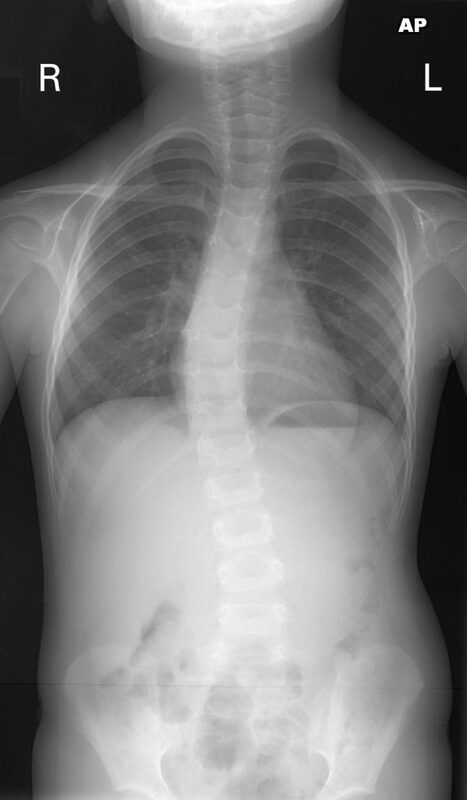 Most often occurring during the growth spurt just before puberty, scoliosis is a sideways curvature of the spine. While this can be caused by conditions such as cerebral palsy and muscular dystrophy, the cause of most adolescent idiopathic scoliosis (AIS) is unknown. Most cases of scoliosis are mild, but some children develop spine deformities that continue to get more severe as they grow. It’s important to carefully monitor children who have mild scoliosis to see if the curve is getting worse. Wearing an orthosis can help to stop the curve from worsening. We also offer custom made full-time and nocturnal orthoses solutions. This is a custom made underarm brace that fits under the arm and around the rib cage, lower back, and hips. 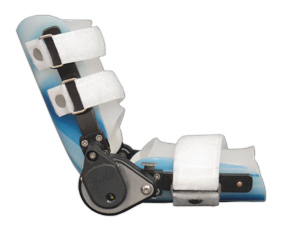 The orthosis is custom fabricated the patient’s size and curve type. Corrective pads are strategically added to apply corrective pressure on the convex (outer) side of the curve. Cut outs are made to correspond as areas of relief on the concave (inner) side of the curve so the spine can migrate in that direction. The Providence Orthosis is the first hyper corrective orthosis that is worn at night to treat adolescent ideopathic scoliosis. This revolutionary orthosis has gained in popularity because of its effectiveness in treating scoliosis and its enhanced ease of compliance among adolescent patients. The Providence Nocturnal Scoliosis System combines the precise grid coordinates of the patented measuring board and utilization of a CAD/CAM system to effectively establish consistent spinal modification strategies. The Providence Nocturnal Scoliosis System aggressively corrects the scoliotic curves while the patient sleeps. The Providence is also effective for obese, juvenile and neuromuscular patients. This orthosis treats abnormal chest shape, profusion of both sternum (breast bone) and the cartilage portion of the ribs, bowed chest (Pigeon breast). It provides increased anterior / posterior directed corrective compression forces. 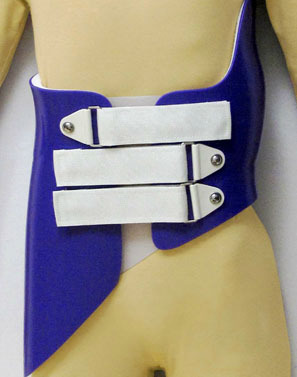 This custom orthosis has an anterior and a posterior panel anchored to aluminum bars that contour around the patient’s chest, clearing the skin. 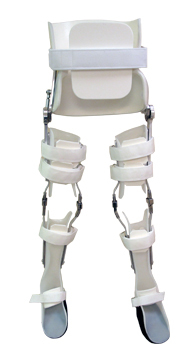 Lateral ratchet buckles and ladder straps connect the anterior and posterior sections and provide a tightening system for the orthosis. We offer a variety of custom fabricated orthotic solutions for your child’s upper and lower extremities based on his or her diagnosis. They meet a range of needs from stability to immobilization. Upper extremity orthotics are braces and supports designed for the shoulder, arm, elbow, wrist and hand. They can be used for a range of needs from stability to immobilization. 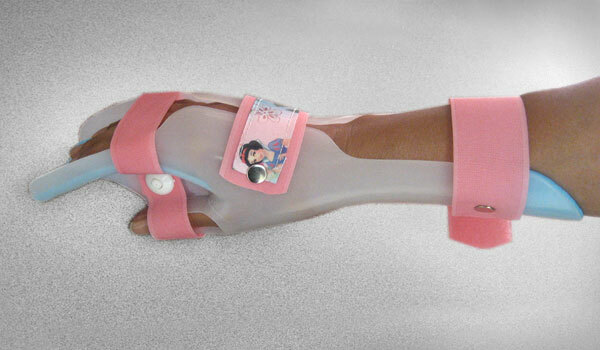 Custom molded, these orthoses may be made of canvas, metal or plastic. They are ideal for positioning and stabilizing the hand and wrist joints. One type of these orthoses controls movement in the joint and helps it heal after an injury or surgery. The other minimizes or reduces movement. There are two kinds of hip abduction orthoses for children. One is made for newborn to 18-month-old babies with congenital hip dysplasia or developmental hip dysplasia. It is allows your baby to move his/her hips comfortably and is customize hip abduction according to the needs of your baby. The other hip abduction orthosis is designed for post-operative stabilization of the hip, secondary to soft tissue release and osteotomies, hip subluxation and dislocation. 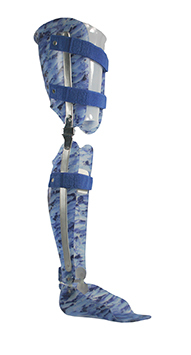 This orthosis supports your child’s hip and allows for movement, rotation and flexibility of the muscles. It is customized to ensure that it offers maximum comfort. This orthosis is designed to treat children with muscular imbalance and/or weakness, paralysis (spinal cord injury, spina bifida, myelomeningocele). It provides support to the hip, knees and ankles so that you child can stand properly. It provides balance and also allows for dynamic hip stretching. The RGO comes with extensions to accommodate that your child’s growth. This orthosis is made to treat muscular imbalance and/or weakness, paralysis (spinal cord injury, spina bifida, myelomeningocele), cerebral palsy, muscular dystrophy or MS (Multiple Sclerosis). It helps support your child’s spine and can be designed to restrict motion. Depending on the specific diagnosis, it is offered with a number of options including: hip joints, knee and ankle joints. The KAFO is available in various designs and colors so the child can personalize it.